Advocates Fight 'Culture of Secrecy' In Post-Hurricane Puerto Rico Puerto Rico's governor pledged to run a transparent recovery process. But as billions of dollars are on the way, many say there are indications that transparency may not be a top priority. Puerto Rico's governor pledged to run a transparent recovery process. But as billions of dollars are on the way, many people say there are indications that transparency may not be a top priority. 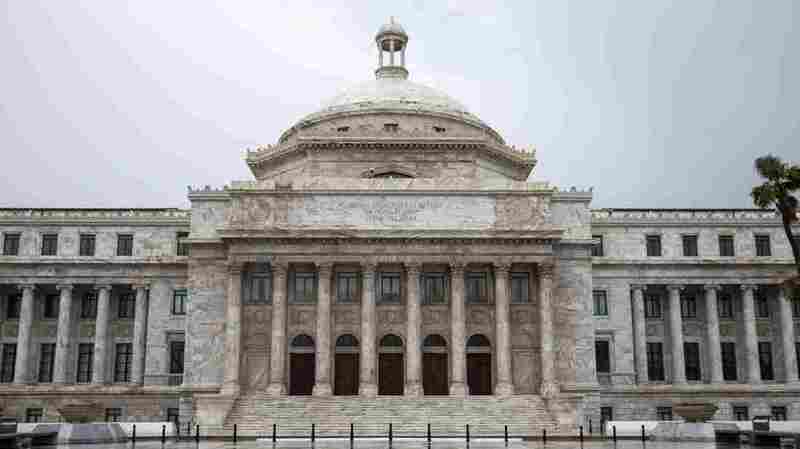 It was a more than 400-page report that the governor, Ricardo Rosselló, planned to send to Congress outlining his vision for the island's reconstruction and his need for $140 billion to see it through. Before delivering it in August, the government published a draft for public review — but only in English. "It's not right," said Román, a community leader in the working-class neighborhood of Cantera, on the outskirts of San Juan. Close to 80 percent of people in Puerto Rico aren't fluent in English. "The government is limiting our access to this information and impeding our ability to participate in the recovery." For Román, it was an important victory, because she is part of a budding movement in Puerto Rico that's been pushing the island's government to be more transparent. It's a movement that has taken on greater urgency in the aftermath of Hurricane Maria as Puerto Rico's journalists, academics and activists continue trying to assess what went wrong in the government's response at the same time that they prepare to monitor the tens of billions in federal recovery grants expected to flow to the island in the years ahead. 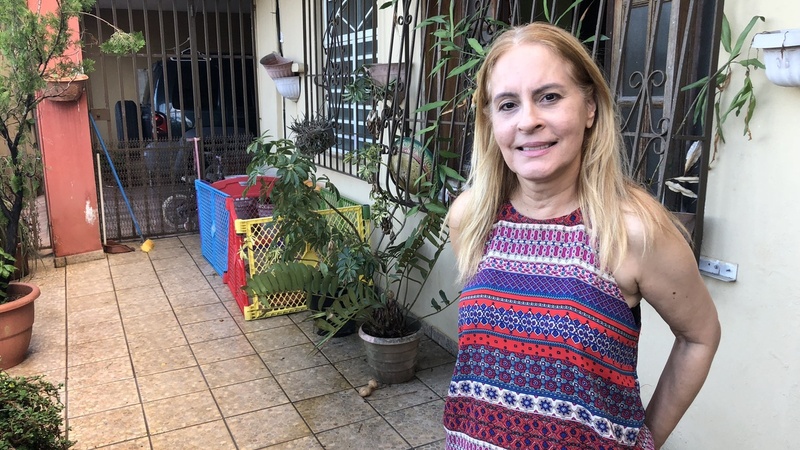 After Mabel Román Padró sued the Puerto Rican government, it agreed to translate an important report about Hurricane Maria recovery from English to Spanish so she and most of the island's residents could read it. Román filed her lawsuit with the help of a nonprofit she worked with. Lawyers for the office overseeing Puerto Rico's recovery effort said they were under no obligation to translate the report because it was intended for the U.S. Congress. But, before a judge, they agreed to translate it. Advocates fear the government's spotty record on transparency may portend poorly for their efforts to track where the billions headed for the island end up. It's a fear rooted in their never-ending struggle to gain access to government records and in the lessons of Puerto Rico's recent history. "We tell people it was the lack of transparency that left you in the dark," said Cecille Blondet, executive director of the nonprofit Espacios Abiertos — or Open Spaces — which filed the lawsuit on Román's behalf. She was referring to the decades of poor, often secretive management of the island's public spending that left the power grid — and much of the government — mostly helpless in the face of Hurricane Maria's crippling winds. "We had been left in the dark for many years, regarding many things. And after the hurricane, that metaphor became a reality because we were actually in the dark for many, many months," Blondet said. "And it seems like we're going to continue to be left in the dark on many things." We had been left in the dark for many years, regarding many things. For months after the hurricane, Puerto Rico's government refused to turn over data on who died after the storm until ordered to by a judge. Last month, investigative journalists sued to force the release of the updated hurricane response plan that officials falsely claimed to have completed. And Blondet's organization is currently in court fighting for a list of companies that have received lucrative government tax credits. Carla Minet, who directs Puerto Rico's Center for Investigative Journalism, said these lawsuits for public information and the roughly dozen others her center has filed expose a disconnect between the government's narrative about transparency and its practice. "The government says all the time that they have a policy of transparency, but it's not real in terms of how officials act every day," Minet said. "There's a generalized culture of secrecy from government officials. Every time you ask for a document, there is an automatic response of, 'You can't have access to that.' "
It's a frustration directed not only at Puerto Rico's central government. The federally appointed oversight board controlling the island's finances has also faced public pressure, as has the Federal Emergency Management Agency, which is still working on the island. But as Puerto Rico prepares to receive an avalanche of federal disaster recovery grants that the governor and members of his Cabinet will have much more control over, transparency advocates are focusing in. Gov. Ricardo Rosselló has repeatedly pledged to have "the most transparent disaster recovery process in U.S. history." But those trying to keep an eye on how the government spends the billions that will soon arrive are already getting indications that transparency may not, in fact, be a top priority. NPR made multiple requests to interview Rosselló and Omar Marrero, the official in charge of the governor's office for recovery and reconstruction. The interview requests were not granted. Deepak Lamba-Nieves, research director at the Center for a New Economy, a San Juan think tank, said there are large gaps in the online database where the government is supposed to publish its contracts. While most contracts are listed by name, fewer are published in full. Subcontracts — which often account for large shares of the money in an original contract — are almost never published. The contracts section on a new website that the government has touted as a transparency portal simply redirects to the same database. Last month Marrero, the official overseeing Puerto Rico's hurricane recovery efforts, shook his head no when asked by a reporter whether his office would take the initiative to ensure that all contracts and subcontracts related to the recovery are published. "We're going to comply with applicable law," he said, and suggested that journalists who wanted more of those documents published should ask the legislature to pass a law requiring the government comptroller's office to do so. Without access to those contracts and subcontracts, Lamba-Nieves said, it will be difficult to answer important questions: Are federal grants actually funding the island's most pressing needs? Are contracts ending up in the hands of firms with close ties to politicians in power? Is the funding stimulating Puerto Rico's economy, as officials have claimed it will, or are most contracts going to U.S. firms that will take their profits back to the mainland? "We know that recoveries are fickle in nature, but also highly political exercises," Lamba-Nieves said. "So we need to keep a close watch on what's going on so that we can protect the future of Puerto Rico with regard to the recovery but also project an image of transparency and credibility." That last point is especially important, he said, because of a harsh political reality. Some in Washington — including President Trump — don't trust that Puerto Rico's government will manage the recovery funds appropriately. "There's a huge concern ... that the government of Puerto Rico is going to squander these funds," Lamba-Nieves said. "I think this is totally unfair. I mean, it's borderline discriminatory." But he said that perception could nonetheless endanger future federal funding for Puerto Rico's recovery. The best way for the island's government to battle that perception, he believes, is with more transparency.